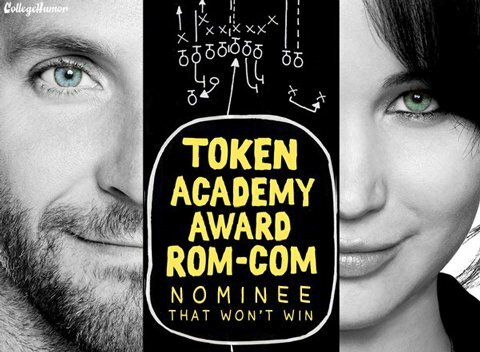 Now that the year's Best Picture Oscar nominees have been announced, we've got a long six weeks to go before the awards ceremony-- which means, of course, that it's time to start making fun of the nominees. 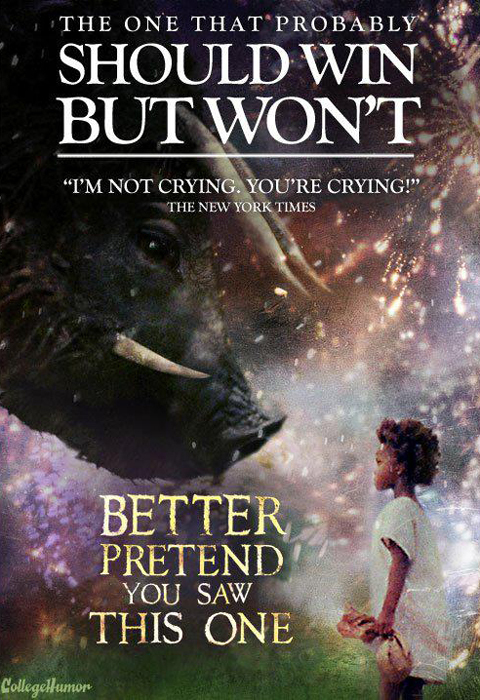 Some of them are familiar to everyone, like Django Unchained and Argo, but plenty of people only heard of Amour and Beasts of the Southern Wild when they were announced as nominees yesterday. But all of them could probably be a little bit more honest about what they actually contain. The Beasts kicker for me is the "I'm not crying, you're crying!" quote from the New York Times, which captures both the huge emotional wallop the film has and Manohla Dargis's glowing pull-quote that was featured prominently on actual poster. 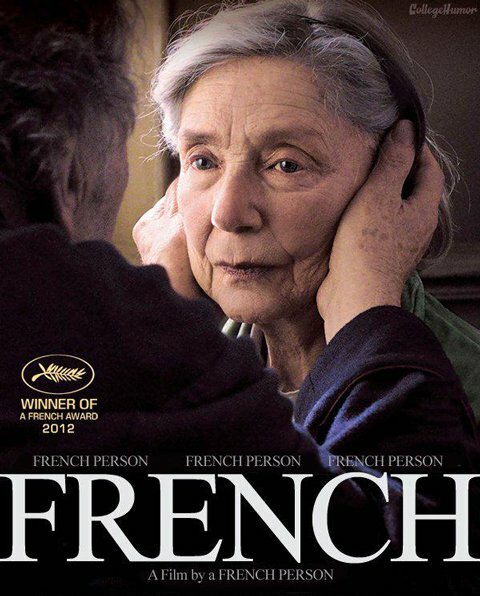 On the other hand the Amour poster is nonsense, since it's an actually an Austrian production, made by Austrian Michael Haneke (though, OK, it is in French). And the Silver Linings PLaybook mention is totally off, since that movie got a ton of nominations and some think it's an actual spoiler to beat Lincoln for Best Picture. Token rom-com? Not this year! You can click over there to see the full list, and let us know if you see any others that are particularly off-base or hilarious.